Tap water is not drinkable because it is not purified. All hotels and restaurants that you might book through us serve purified water and ice. All our tours are Crystallized. Also all all-inclusive hotels we work with are crystallized. This means that all their food and beverage is supervised in terms of health and safety by an outside, independent specialist. 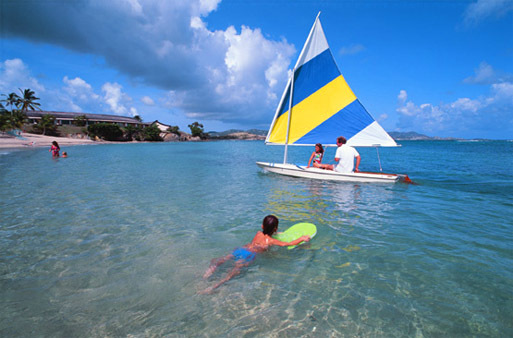 ONLY TRAVEL IN STYLE GUARANTEES THAT ALL TOURS AND EXCURSIONS ARE CRYSTALLIZED. Otherwise, we recommend that you only consume bottled water which can be purchased in most hotel shops or local supermarkets. 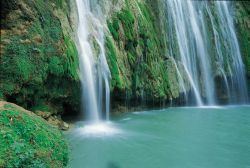 Non residents of the Dominican Republic have to buy a tourist card. This costs USD 10.00 and can be bought at all airports on arrival. Preferred payment is US Dollars cash. There is also a USD 20.00 departure tax when leaving the country. Most airlines have the departure tax included in the ticket. Argentina, Chile, South Korea, Ecuador, Israel, Japan, Peru, Uruguay. Andorra, Antigua and Barbuda, Aruba, Australia, Austria, Bahamas, Barbados, Belgium, Brazil, Bolivia, Bulgaria, Canada, Costa Rica, Croatia, Czech Republic, Denmark, Dominica, Slovakia, Slovenia, El Salvador, Spain, Finland, France (including French Guyana, Martinique, Guadalupe and Reunion), Germany, Greece, Guatemala, Honduras, Hungary, Ireland, Italy, Jamaica, Lithuania, Luxembourg, Macedonia, Mexico, Monaco, New Zealand, Norway, Paraguay, Poland, Portugal, Netherlands, St. Kitts and Nevis, San Marino, San Vincent and Grenadines, St. Lucia, Sweden, Switzerland, Suriname, Trinidad and Tobago, Turks and Caicos Islands, UK, United States (including Puerto Rico, Virgin Islands, St. Thomas, St. Croix, St. John and Hawaii), Venezuela. If you are unsure about the requirements for your nationality, send us a mail and we will check with the Dominican authorities. I am a vegetarian, will I find something to eat? This is a question we get asked very often. The truth is that Oh yes, all inclusive hotel buffet are very good for vegetarians as you can see the food and only serve what you want. Many hotels also have a special healthy buffet as well as the normal buffet. Fish is served every day in most hotels as an alternative if you do not want to eat meat. 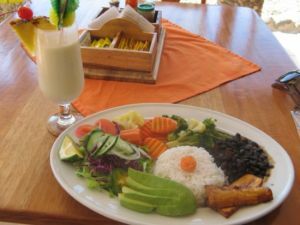 In general it is easy to get a good meal without meat in the Dominican Republic as good vegetables and fresh fruit is available all year around. However most people here have very little understanding for a vegetarian life style. So, asking if the food contains meat products the answer will usually be a guess. Better check out the stuff yourself and thats were a buffet comes in handy. A word of caution. Be careful with soups as they are almost always made with chicken stock. Any serious cigar amateur probably knows the Dominican Republic from the cigars. It is no secret that when Fidel took over Cuba many prominent Cuban cigar families took their know how and fine seeds to the D.R. This infused more quality to an already tobacco producing island. Today the Dominican Republic is known throughout the world as a place where the cultivation and curing of tobacco and the manufacture of cigars is an art form. There are cigar shops all over the place. Most hotels have a cigar market once a week when they invite cigar vendors to set up shop inside the hotel. Often they will roll cigars right there and then. However if you are serious about cigars and it is part of coming here, you will be best off on the north coast (POP) where you will be close to the center of the island. This is where the best Tobacco is produced due to the fertility of its soil. 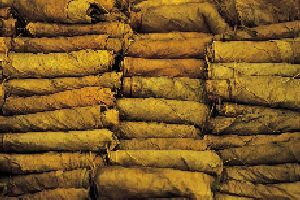 The Cibao valley and the Santiago area is la creme de la creme for cigars. This is where the art form was developed and formed for centuries, from father to son. We have weekly tours that visit well known cigar factories, so just let us know and we will set you up.